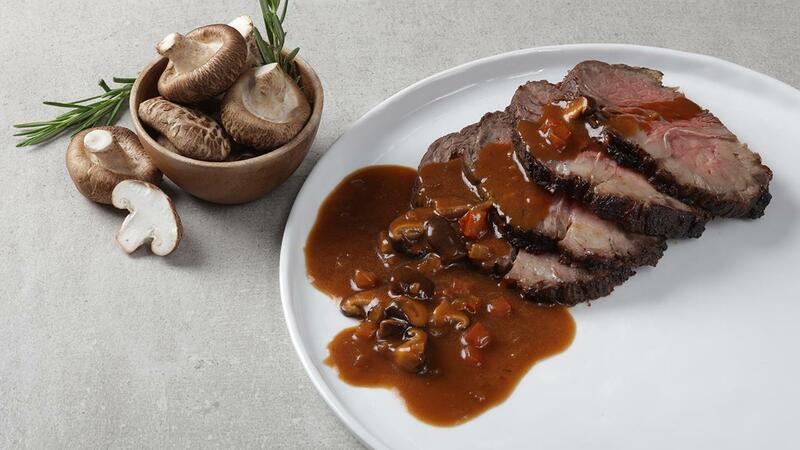 This gravy is created for serious meat lovers who like robust flavoured sauces and mushrooms. Our recipe twist involves using balsamic vinegar. Feel free to use any mushroom variety and enjoy our take on Hunter’s Gravy! View full recipe below. Put butter in a pan sauté onions and mushrooms until soft. Add tomato paste and cook out until stuck to pan. Deglaze with balsamic vinegar and add sugar to sweeten. Prepare Knorr Demi Glace with water, once thick add to balsamic mixture.